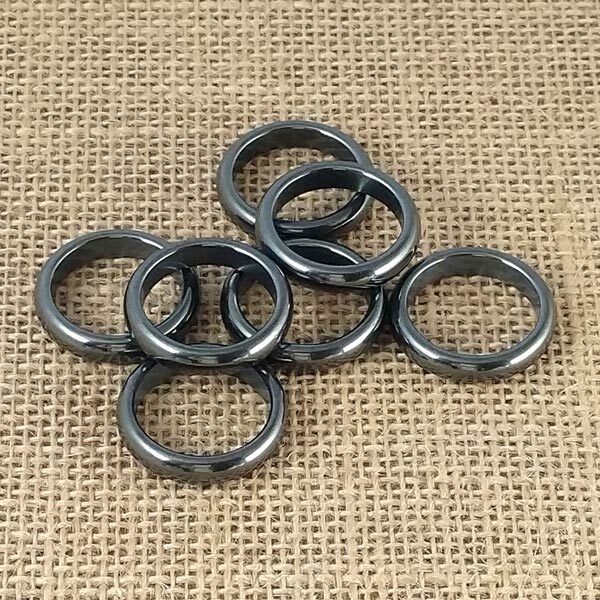 Hematite rings great for protection and grounding! Grounds and stabilizes into the earth or physical plane. Supports facing and healing the shadow side of the self. Fosters peace and nonaggression. Invites good health, vitality and helps you to feel comfortable in your body. Helpful affirmation for the Base Chakra that I have found very valuable: I am grounded and safe, life is safe and I am not afraid. Hematite has a trigonal crystal system. Its mineral class is oxide and coloring is gray metallic or red if ground into powder. It can be formed in several manners: hydrothermally (out of solutions where it forms small kidney shaped crystals), as a sedimentary process (finely distributed red weathering crusts in iron ore deposits), and metamorphically (massive deposits form through loss of water in limonite sediments). Hematite occurs in tremendous beds around gas vents on lava flows near Vesuvious and in Alaska. The most spectacular plates have been found in metamorphosed Brazilian sediments. Many crystalized specimens come from Elba Italy. The famous "iron roses" from crystal lined pockets in the Alps are unmatched anywhere else, but close examples are now being found in Quartzsite, Arizona. With its many varieties, Hematite, after Quartz, is one of the most common minerals we are likely to naturally encounter. Hematite is best used when worn in contact with the skin (as with most stones). Caution should be used in cases of inflammation as it can sometimes have an irritating effect. Hematite encourages the ability to survive by creating a foundation for further development towards better conditions. Hematite strengthens our will and makes us aware of our unfulfilled desires. It can assist in bringing vitality to our lives. Hematite helps us pay attention to our basic needs and physical well being and helps to bolster our self esteem. I have found it's particularly beneficial to teenagers in their struggle with self image. Hematite stimulates the absorption of iron in the small intestines and the formation of red blood corpuscles. This can improve your oxygen supply and stabilize your health. 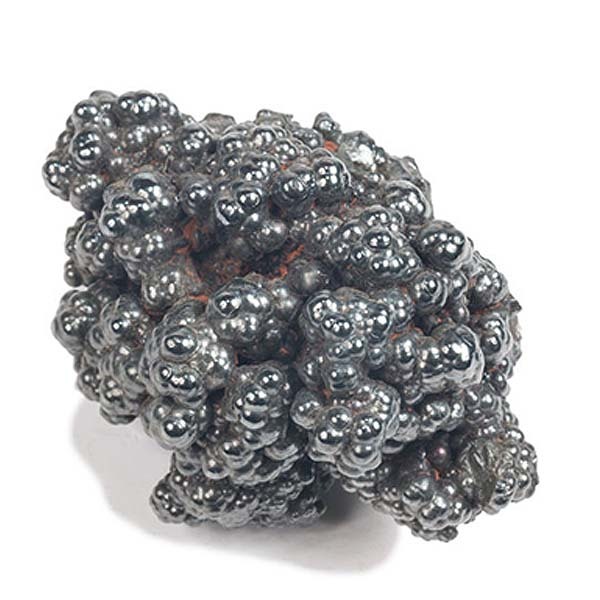 Hematite benefits all signs and can assist those in the fields of Child Care and Optometry. It has a Projective Energy, its Planet is Saturn and its Element is Fire. To ancients, hematite had been known as what we now call Bloodstone, and most magickal information relating to hematite in old books would refer to it as such. It probably related to how it appears to bleed when its worked on a lapidary wheel. Other references also refer to it as "volcano spit" and necklaces made from it in Italy are sold with that name even today. Hematite had been used by Galen for inflamed eyelids and headaches and by Pliny for blood disorders. Egyptians valued it as a cure for hysteria. It has also been asserted that when used as a talisman, it brought the wearer favorable hearings of petitions addressed to kings and a fortunate issue of lawsuits and judgements.